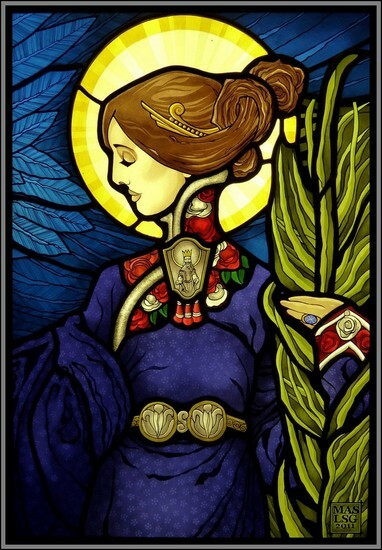 By pure chance, we recently came across the beautiful work of the American Liturgical Illustrator & Designer Matthew Alderman and it immediately struck us how perfectly suited his illustrations would be as cartoons from which to produce stained glass. 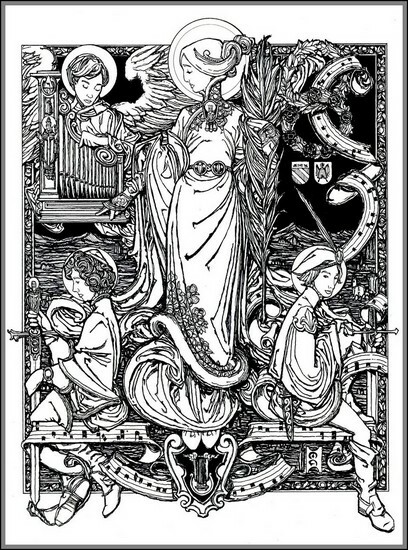 Having made contact with the Boston based artist, who admitted to being greatly inspired by renowned Irish stained glass artist, Harry Clarke, Matthew was extremely excited at the prospect of seeing one of his original works physically transformed into stained glass and immediately gave his permission for Lightworks to begin work on producing a sample panel. The two companies are now jointly promoting the work with a view to securing future stained glass commissions in both Great Britain and the United States of America. We welcome any enquiries or request’s for estimates and will gladly discuss how this exciting new collaboration could be of service to you. Please feel free to call us on 01200 429500 or drop us an email.